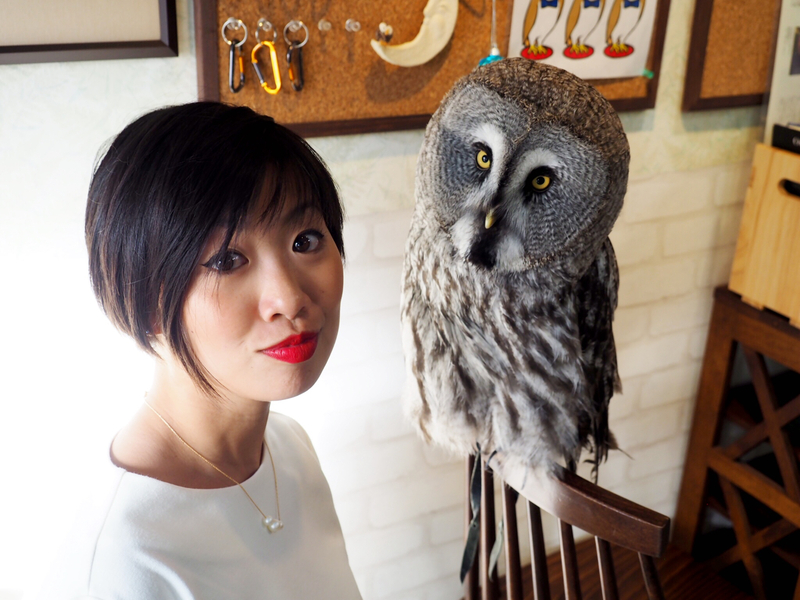 Up until our visit to Cafe Baron just outside of Tokyo’s Shinjuku district, my encounters with owls have been next to nil, and I was super excited to be sipping some coffee with a few. 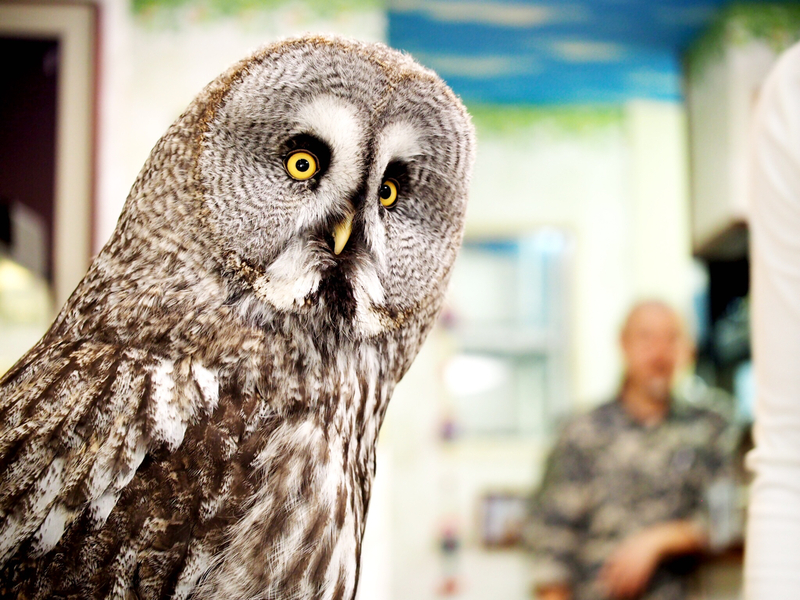 The plan was for us to go to this owl cafe, see some birds in a cage, take a few pictures, drink some coffee, pay some money, and that would be it. Little did I know that Cafe Baron was going to be the coolest pet cafe ever! 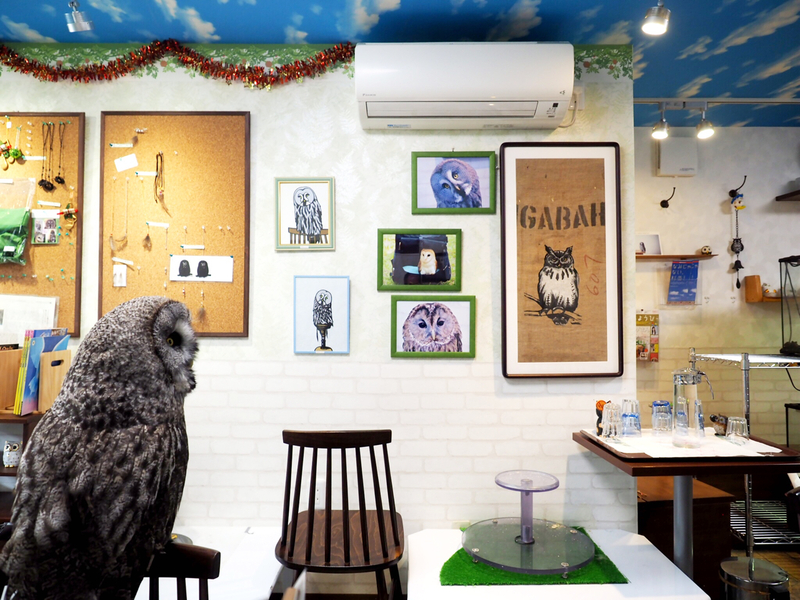 Now, we had picked this owl cafe in particular because the owner stated on the website that the owls are not allowed to be petted. 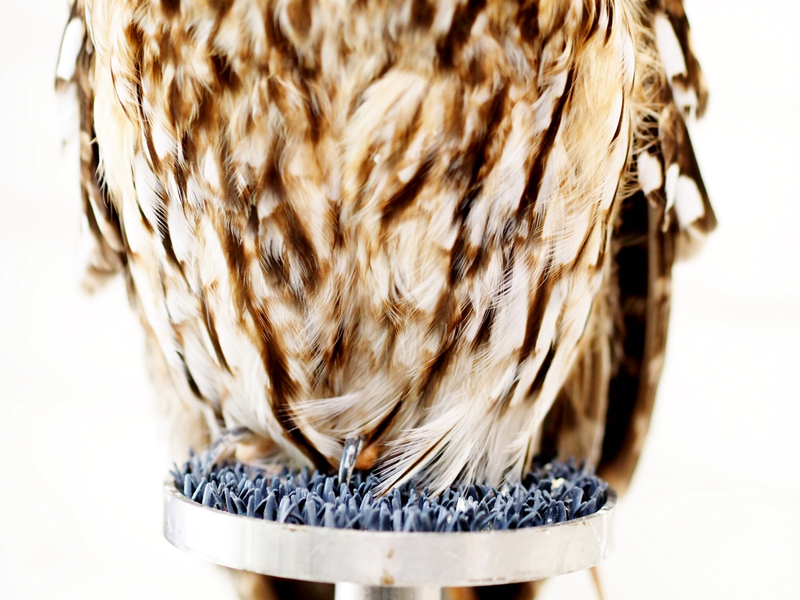 Part of me, of course wanted to pet the owls, but part of me also knew that owls are usually best observed from a distance. 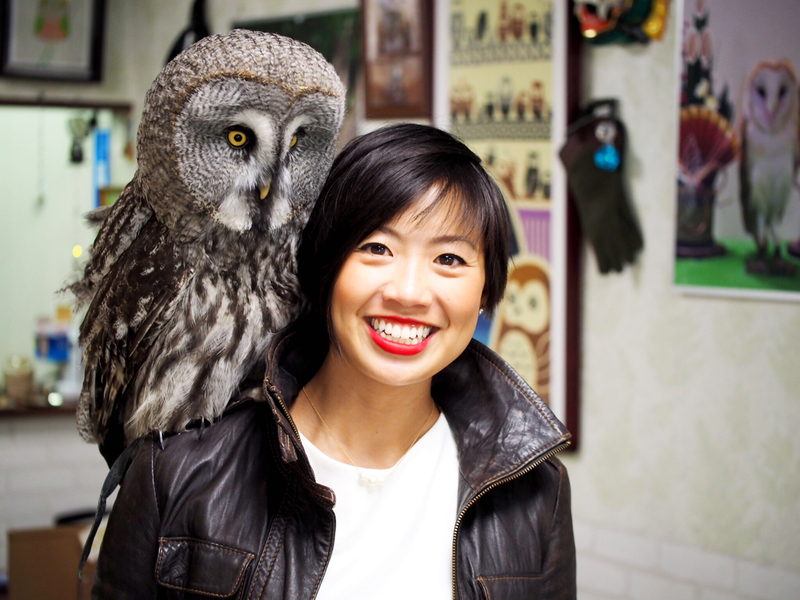 I really just wanted to go for some owl companionship, like many of the frequent Japanese visitors. Upon entering this tiny little door, we were immediately greeted by a large and beautiful grey owl sitting right smack in front of us, making some serious eye contact with its bright yellow eyes. 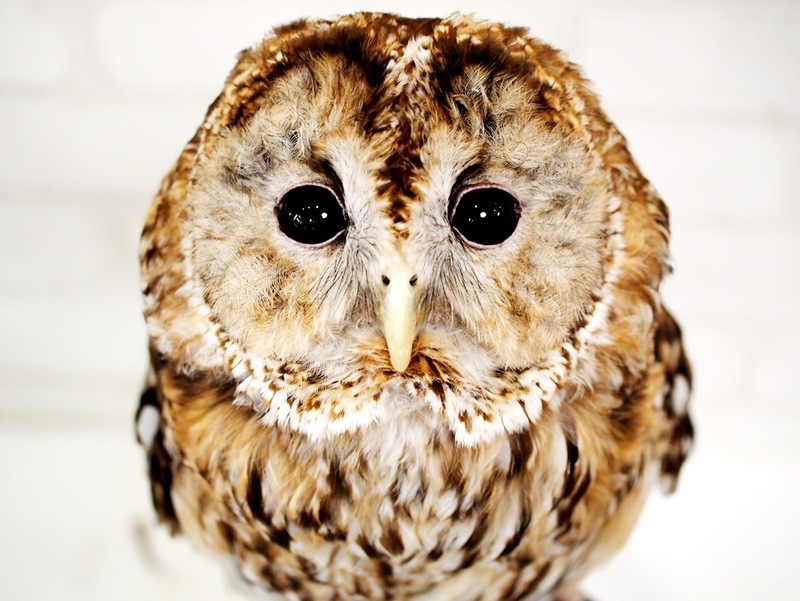 We had a good staring contest, the owl won, and we sat down for our first round of coffee. Well, was I ever surprised when the owner of the cafe (who speaks English, which is a plus!!) 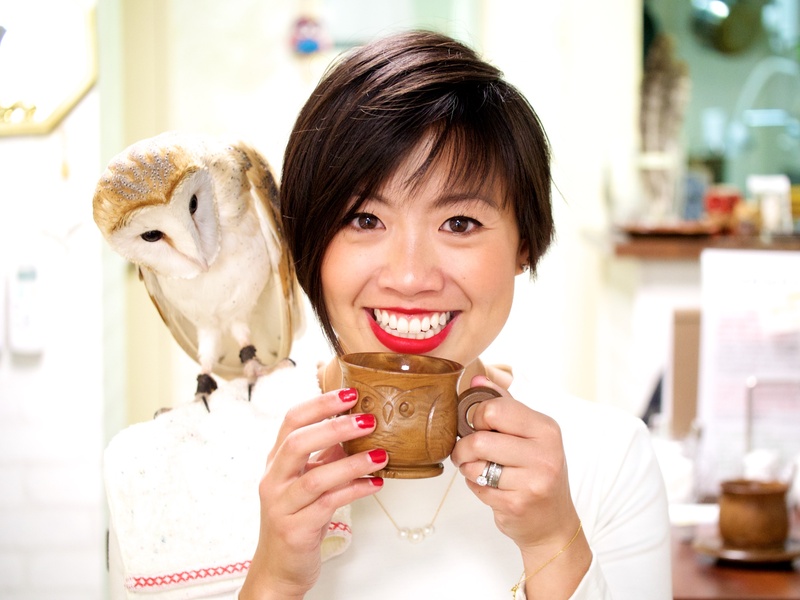 and owl keeper suggested that he could place an owl on my shoulder so that I could of course drink coffee out of my wood carved owl cup so that Thomas could take a picture. How could I resist this opportunity!? 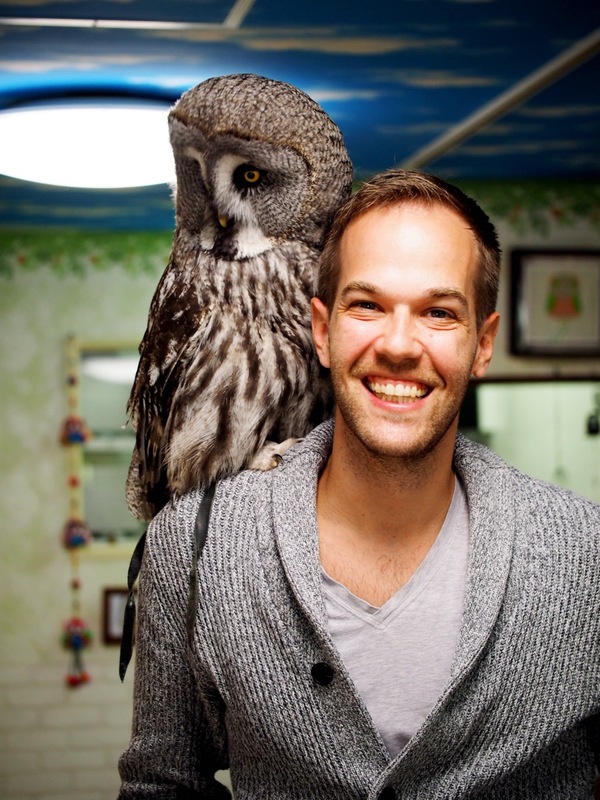 Well I couldn’t, and after rationalizing that an owl sitting on my shoulder does not qualify as petting, the result was an epic photoshoot. I loved every single minute of it! 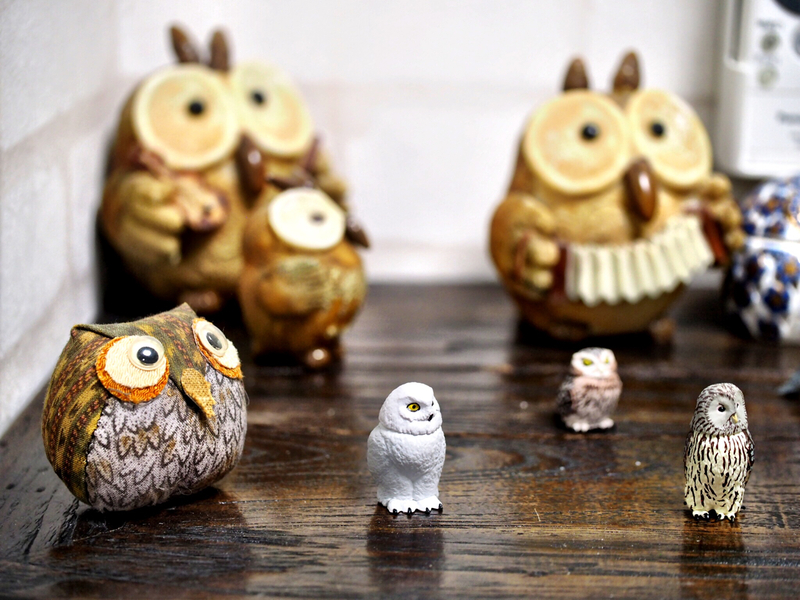 The owls were beautiful, the coffee was delicious, the owner was genuine and lovely, and Thomas looked stinking cute too with an owl on his shoulder. 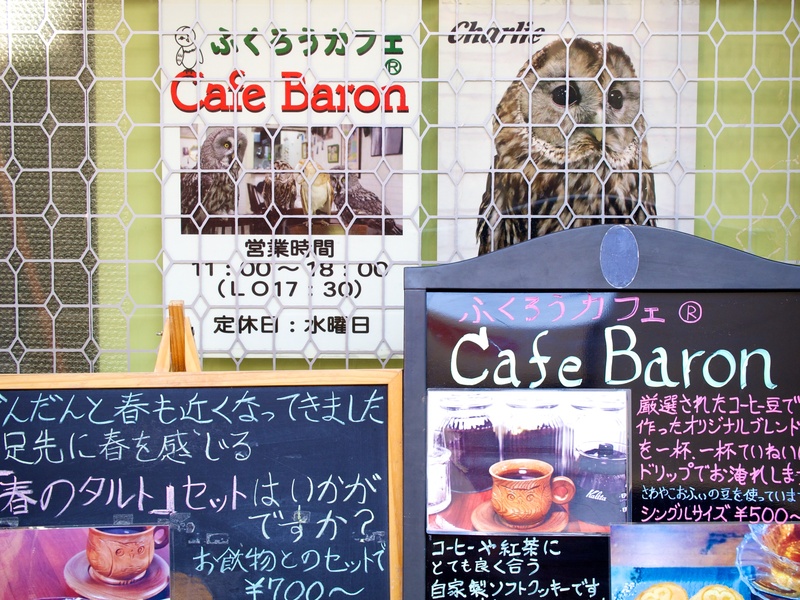 If you’re in Tokyo, give Cafe Baron a shot. It’s a quick train ride west from Shinjuku station. I promise you won’t be disappointed. Check out Cafe Baron’s Facebook page for hours, directions, and contact info. 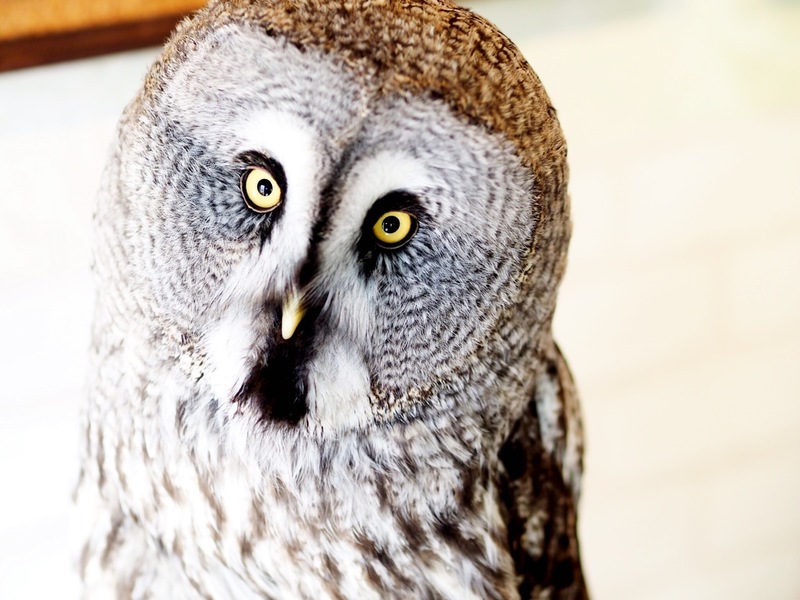 Would be best if you knew Japanese, but not necessary if you just want to enjoy the company of some owl photos!